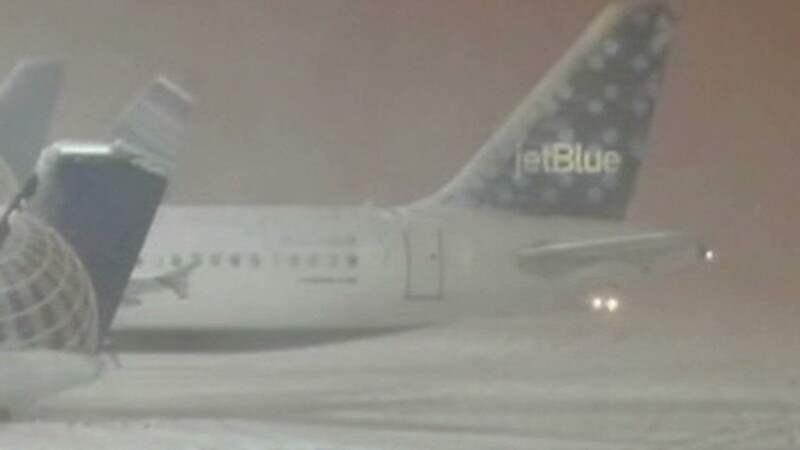 JetBlue Airways was once again hit hardest by the blizzard that canceled hundreds of flights along the East Coast Tuesday, but the New York-based carrier said this time it was ready. 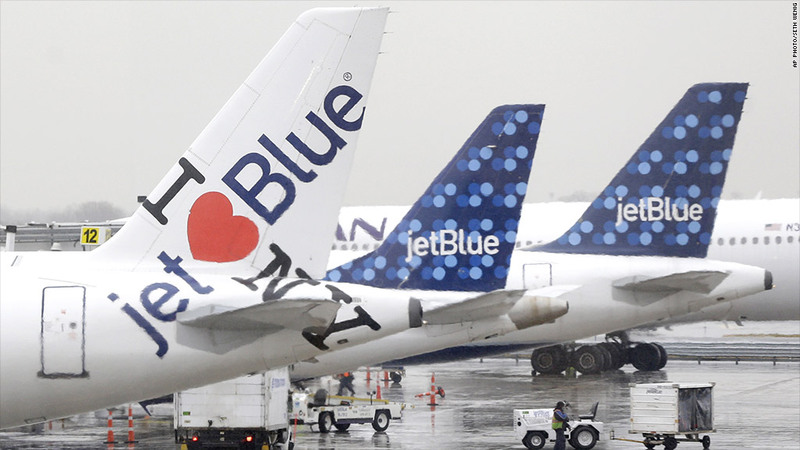 JetBlue (JBLU) spokeswoman Jenny Dervin said the airline was set to re-open at the New York airports around 9 a.m. ET and in Boston at 10 a.m. ET. The airline has 45% of its flights leaving or arriving in one of those two cities. Dervin said that the heaviest storm of the season forced the airline to cancel about 475 flights, with about 190 of those hitting Wednesday flights. Overall, the industry canceled 3,200 flights Tuesday, according to FlightStats. Dervin said it helped that this storm hit pretty much as forecast, unlike the one earlier this month that packed a much bigger punch. That meant the airline did not suffer the cascading delays and cancellations that caused so many problems during the prior storm. Four days into that one, JetBlue was forced to virtually shut operations in New York and Boston because it didn't have pilots who had the required hours of rest needed to start flights. "This event is how the plan works when we know what we're dealing with," said Dervin. JetBlue also has more seats available since it's not coming off a holiday travel period, said Dervin, which should help with getting affected passengers rebooked more quickly. Earlier this month, some JetBlue customers had to wait as much as a week to get to their destination. FlightStats estimates that JetBlue was still hit harder than any other mainline carrier in terms of cancellations Tuesday. The flight tracking service says JetBlue canceled 34% of its flights. By comparison United Continental (UAL) canceled 11%, Southwest (LUV) canceled 9% and Delta Air Lines (DAL) 7%. US Airways canceled 20% of its flights and American Airlines (AAL) canceled 10%. But cancellations were higher at the regional airlines which provide feeder service for the major carriers. Those stats show up in the regional carrier's performance numbers, not in the major carriers. JetBlue does not use feeder airlines.